On September 2, the 53 meter long cattle carrier/landing craft Statesman ran aground near Stanley, Tasmania. 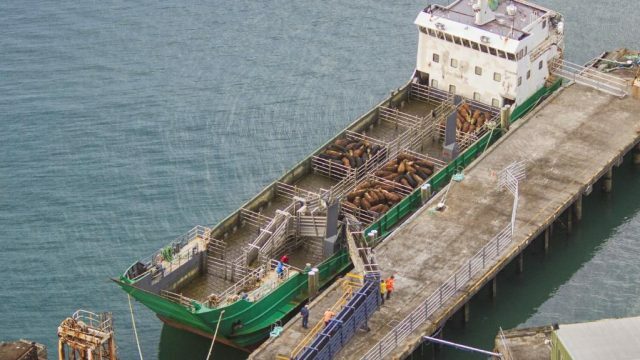 The Statesman was en route to King Island from Tasmania with a cargo of cattle when it suffered a technical fault. An electronic fault occurred in the vessel’s navigation system causing the Statesman to veer off course and run hard aground on a reef known as North Point. The vessel suffered some water ingress and damage to the rudders and propellers. No reports of injuries to the crew or the cattle on board. The crew requested assistance and a tug was dispatched from Burnie to the scene. Several hours later the tug arrived and was quickly able to pull the Statesman free. The vessel was assisted back to port for repairs. Tasmanian authorities have launched an investigation into the incident. On June 20, the cargo landing craft vessel Alur Barito sank on the Barito River near Banjarmasin, South Kalimantan, Borneo. The Alur Barito was proceeding to a mining company with 300 tonnes of explosives on board when it ran aground. The vessel suffered water ingress and sank. No reports of injuries. Reports state the vessel may have been overloaded. 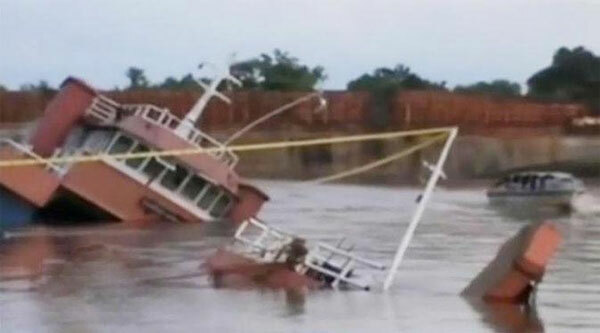 On April 24, three vessels ran aground off the shore of Merak, West Java, Indonesia. The three vessels had been blown ashore by strong winds and waves reaching 4 meters. The vessel LCT Batiwakkal Berau and tanker Soechi Chemical Permai I Jakarta washed ashore off Peacock Beach Hotel beach. 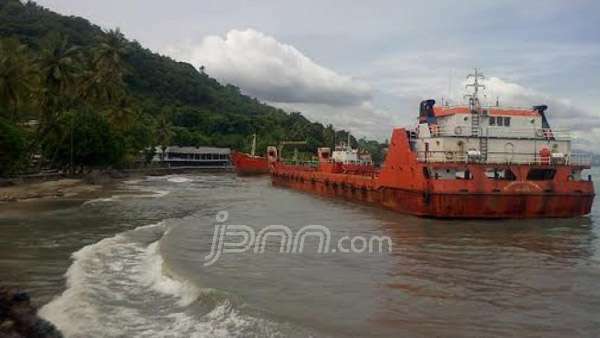 A third vessel ship ran aground around the beach Hotel Pelangi. A tug was unable to refloat the vessels. No reports of injuries.